Manager Terry Francona announced Tuesday that he’ll go with Clevinger when the best-of-five series returns to Progressive Field next week. Clevinger went 13-8 with a 3.02 ERA and 200 strikeouts in 32 starts during the regular season. Francona had other options in All-Star Trevor Bauer and rookie Shane Bieber, but will go with the 27-year-old Clevinger, who has developed into a reliable and consistent starter. 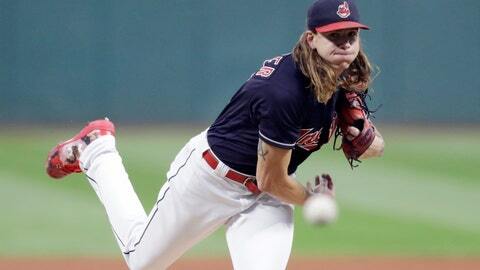 Clevinger pitched out of the bullpen in last year’s division series against the New York Yankees. Francona said either Bauer or Bieber will start Game 4 if the series goes that far. Bauer recently returned after being sidelined with a broken leg, and Francona indicated the right-hander could have a large role in the postseason — perhaps pitching in relief if needed.